On 20 October hundreds of thousands of people will gather in central London to march for a future that works. They’ll be taking to the streets because they believe that government spending cuts and privatisation are not the way to get us out of recession. Instead, these cuts are standing in the way of delivering the jobs and growth that we need. We care about healthcare, education, local services and policing. That’s why we are marching in London on 20 October. If you care too, join us. Together we can send a strong message to ministers to insist they deliver an economic policy to create jobs and growth, a society that benefits from world class public services and a commitment to a fairer future. The London Ambulance UNISON Branch will be meeting at Waterloo HQ and then leaving together to join the front of the march. 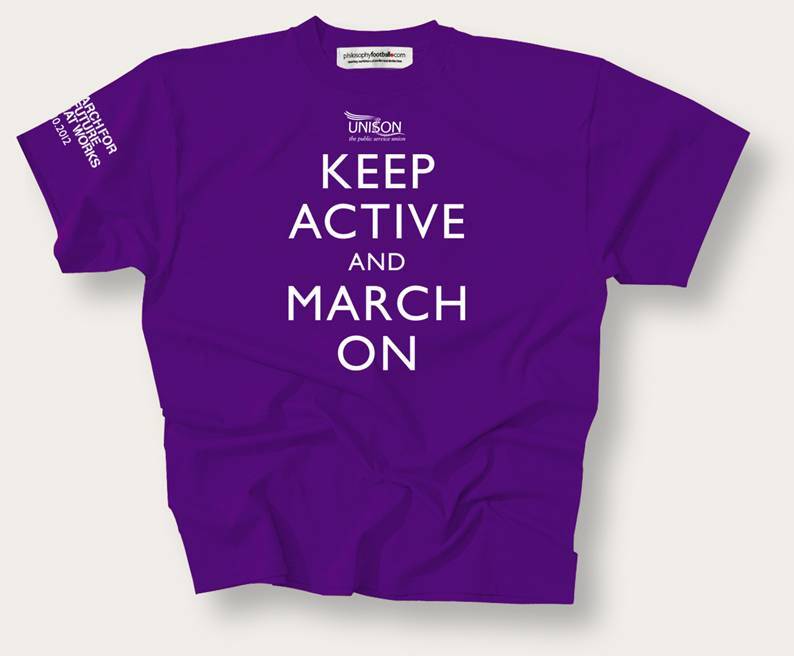 We want our members wearing our special T-Shirt on the march and if you get in touch with us with your t-shirt size we will ensure that one is waiting for you on the day. E-Mail or telephone Eddie Brand or Eric Roberts. Full contact details can be found here.